OWN has released the trailer for the upcoming third season of acclaimed drama Queen Sugar and in it, we see each of the Bordelons grappling with issues of legacy. 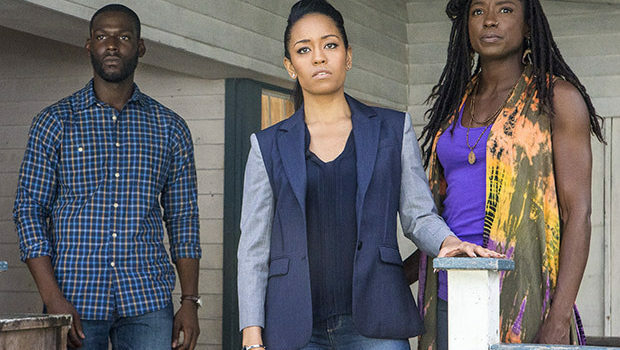 When season three of Queen Sugar picks up with its new showrunner, Charley is running head first into a deal with the Landrys despite the poor optics and how it negatively impacts her relationship with Remy. Meanwhile, Ralph Angel is reeling from news that he might not be Blue’s biological father yet can’t slow down with cane season on the horizon and a new opportunity and old friend both come into Nova’s life at an interesting time. Queen Sugar is part of a drama slate for OWN that includes Greenleaf, Love Is, The Haves and the Have Nots, and If Loving You is Wrong. The third season of Queen Sugar is set to have a two-night premiere Tuesday, May 29th and Wednesday, May 30th, both at 10:00. The series will move back to its regular Wednesdays at 10:00 slot the following week. Will you be watching? What do you think Charley has up her sleeve regarding this deal with the Landrys? Could you see Nova actually leaving New Orleans for New York?